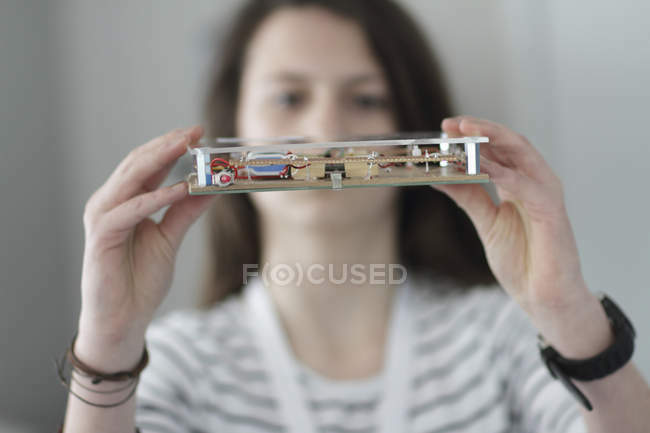 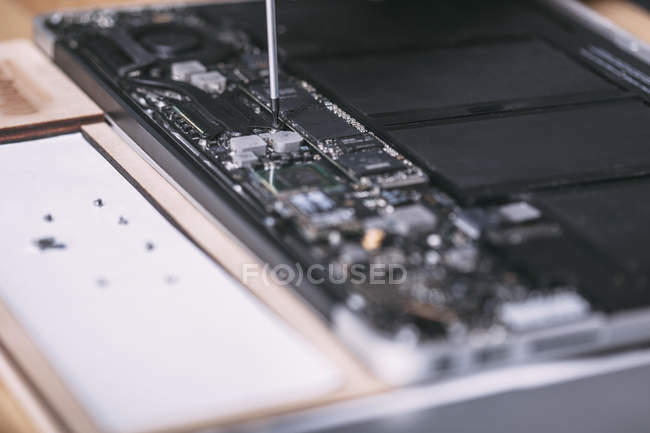 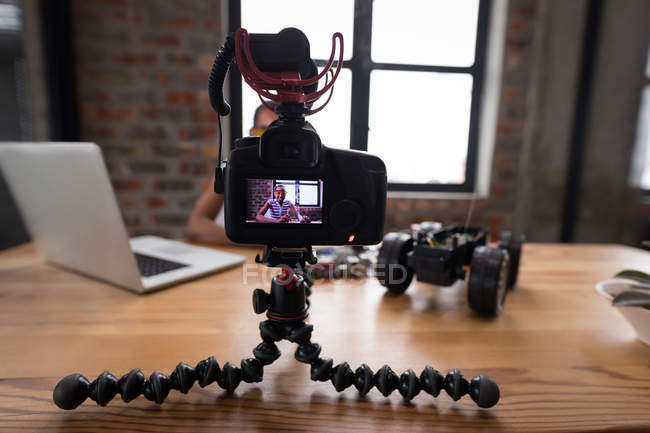 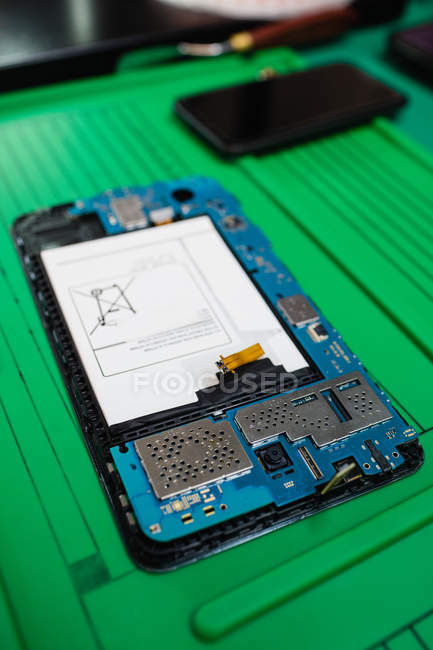 Mobile phone circuit board, full frame. 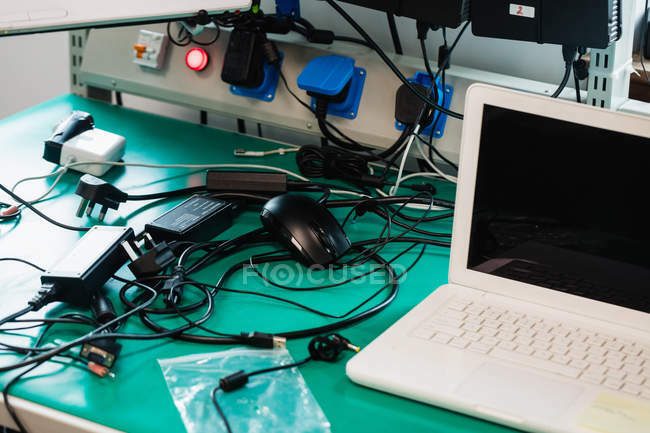 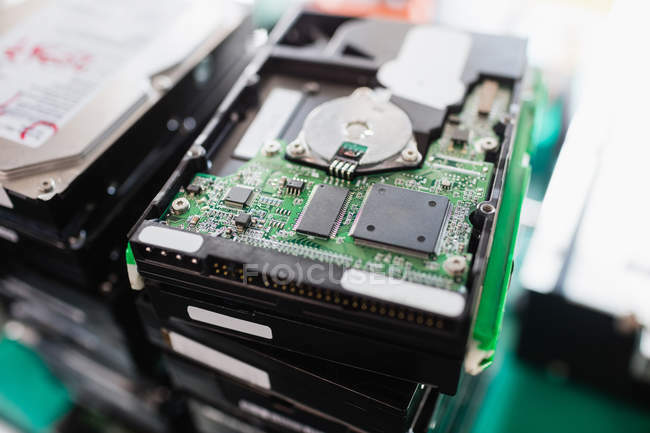 Old electronics stacked for recycling. 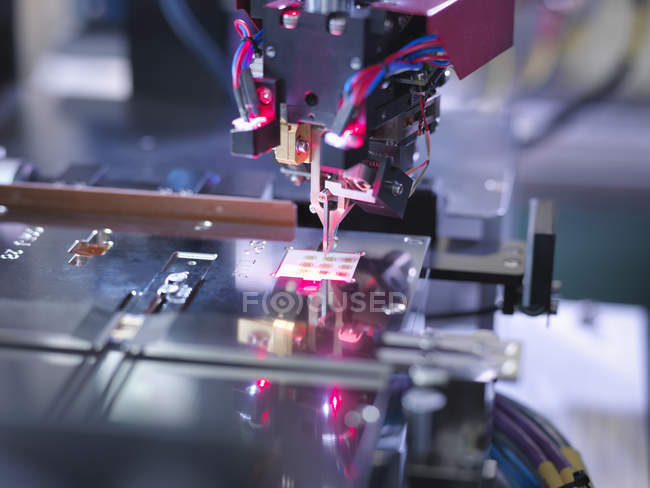 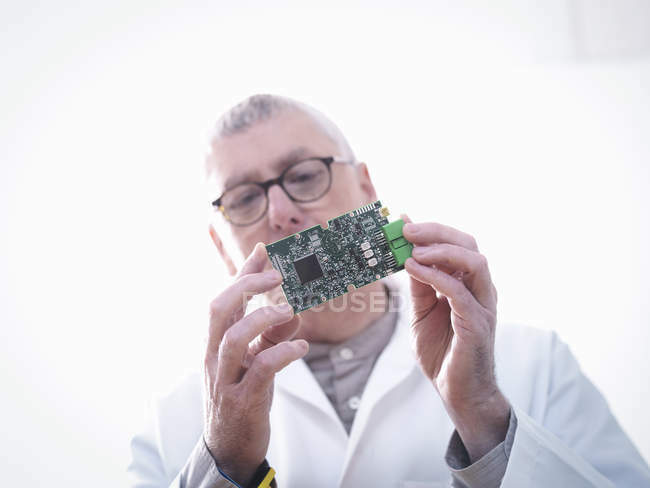 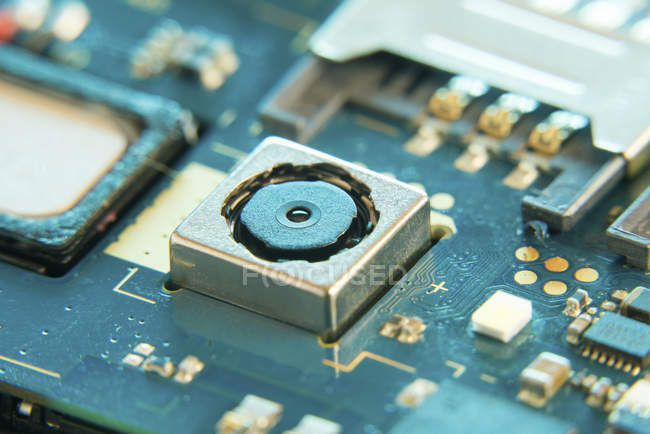 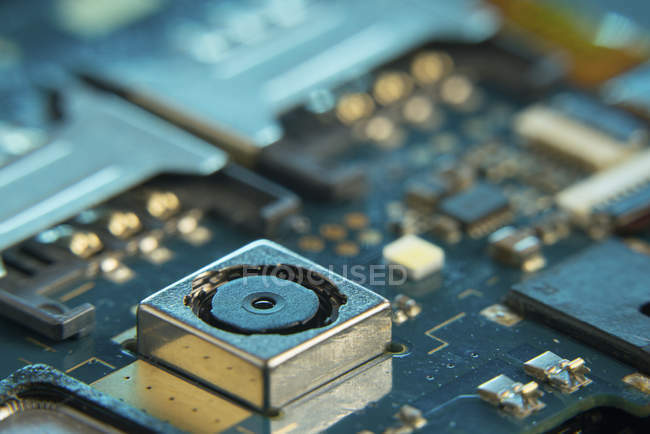 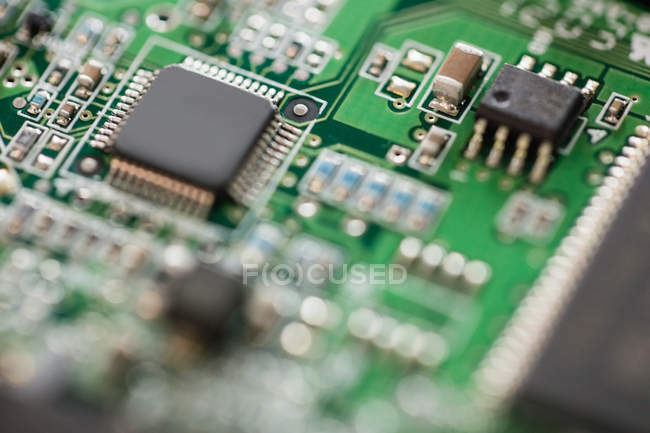 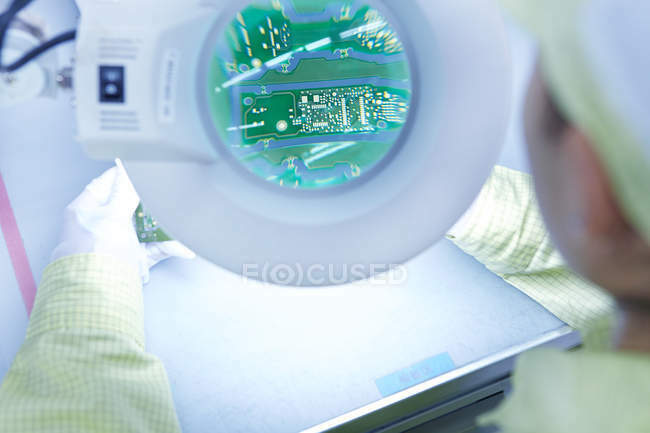 Cropped view of engineer using stereo microscope for inspecting printed circuit board. 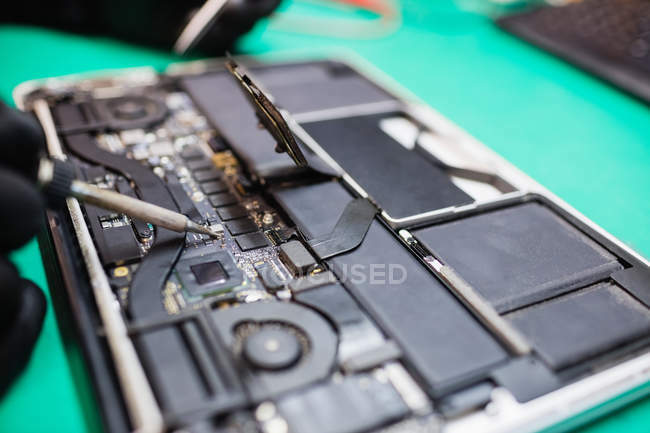 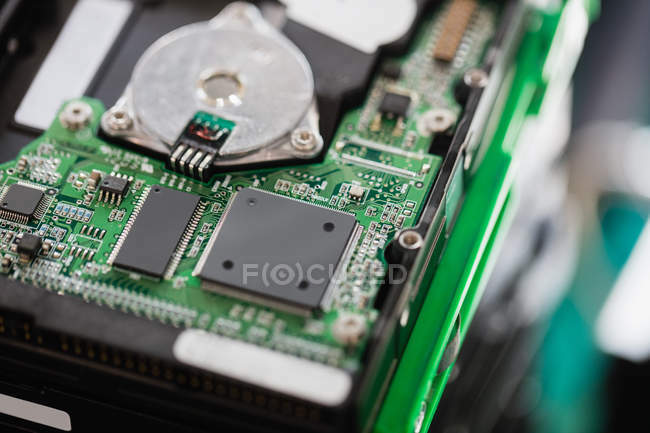 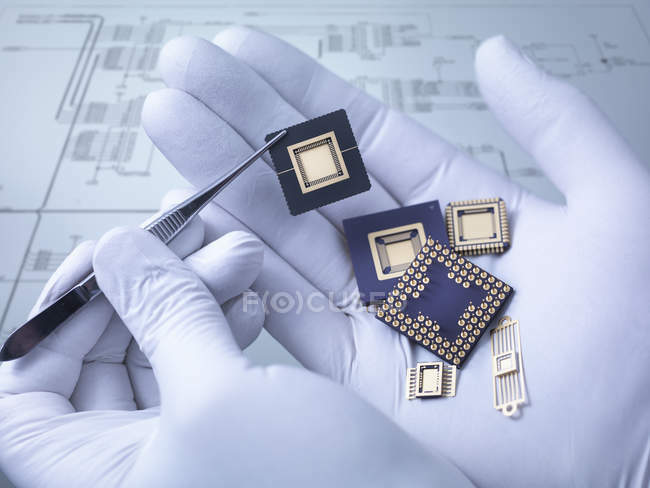 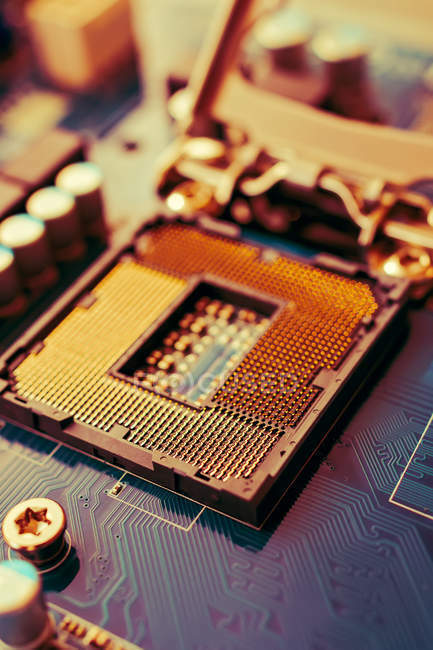 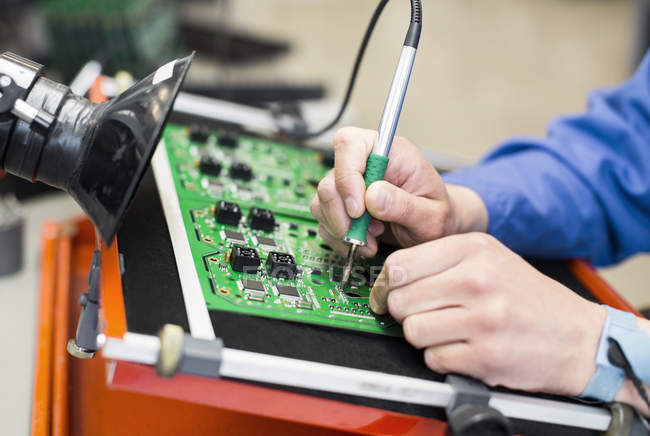 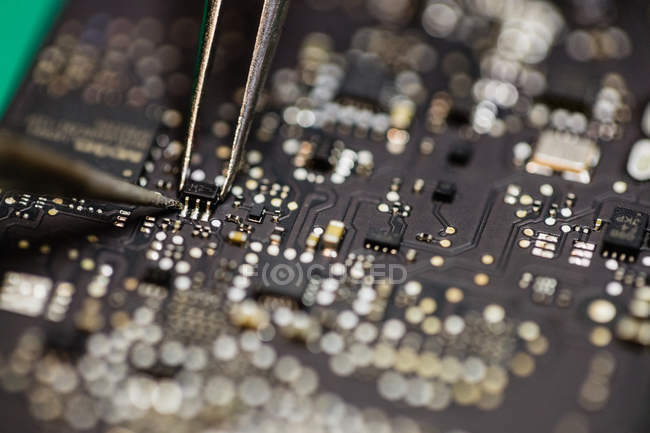 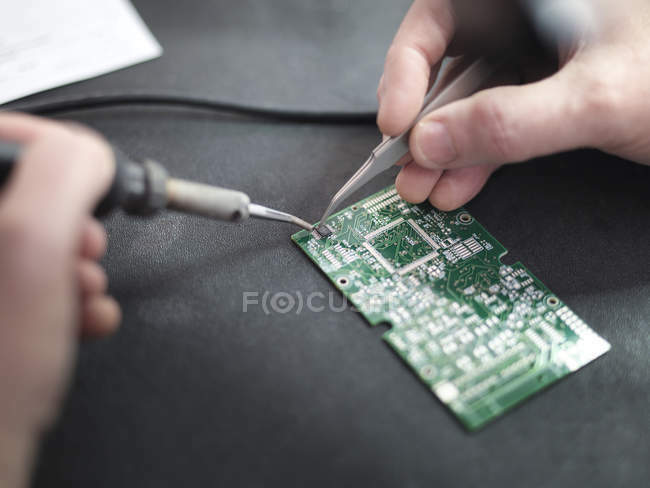 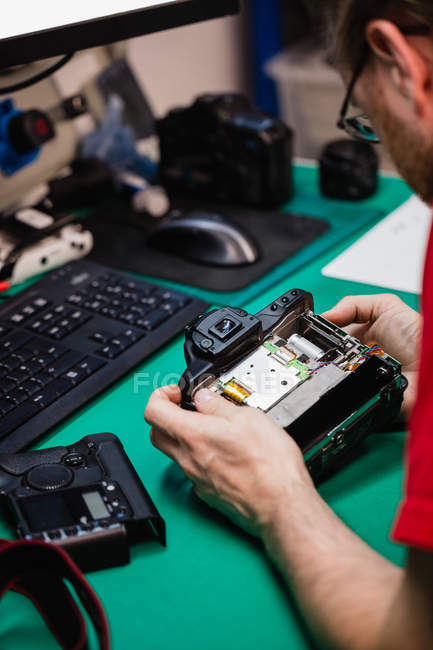 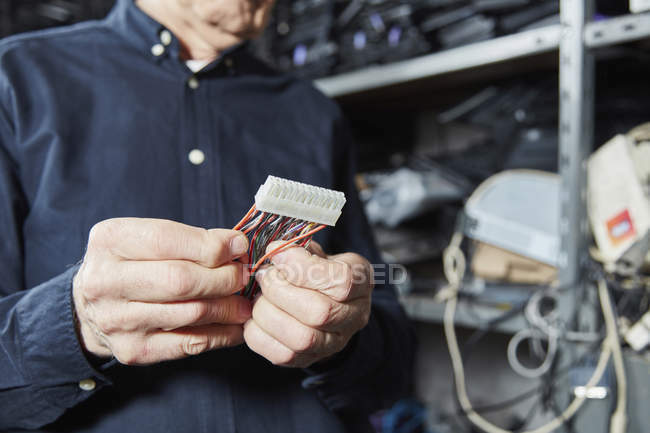 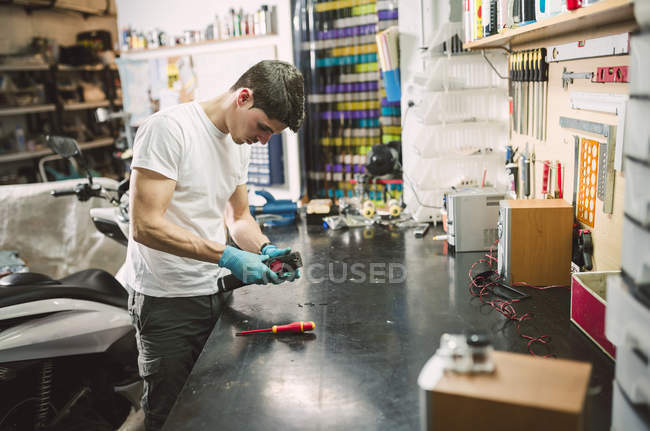 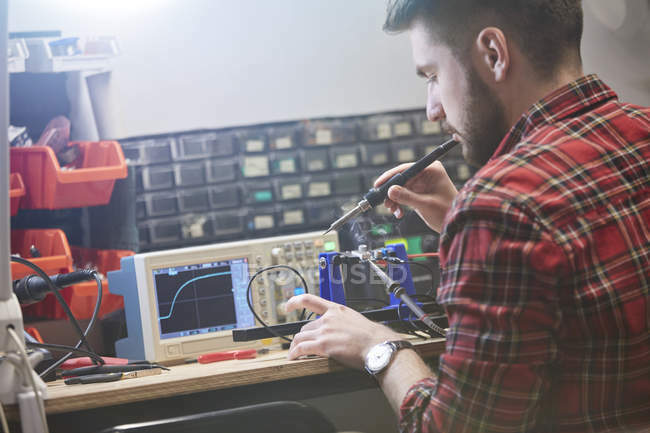 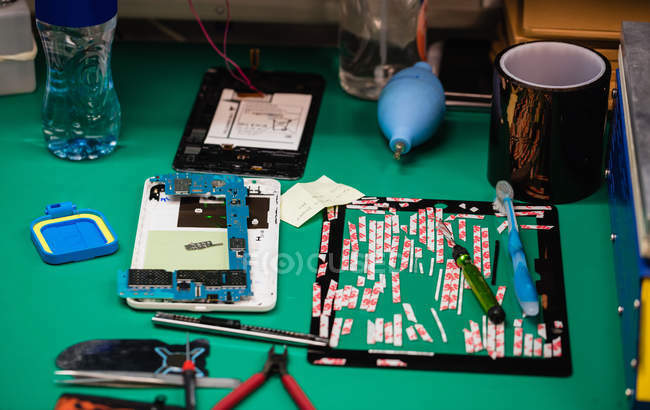 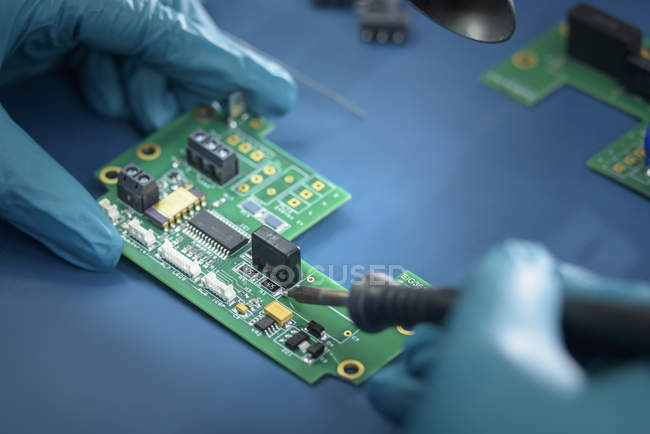 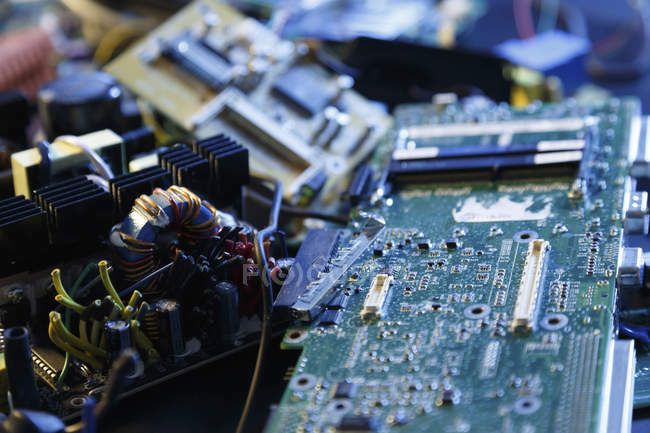 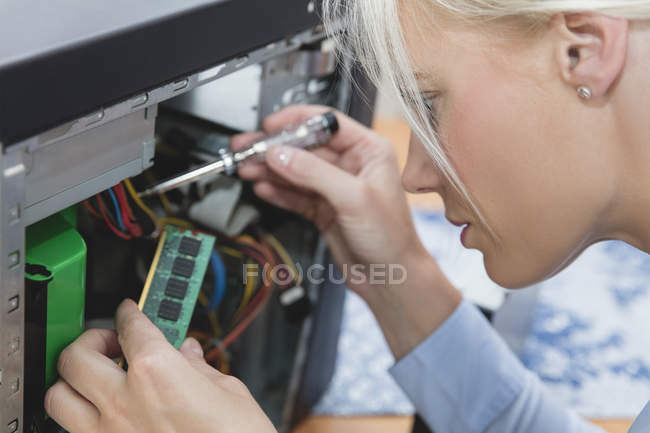 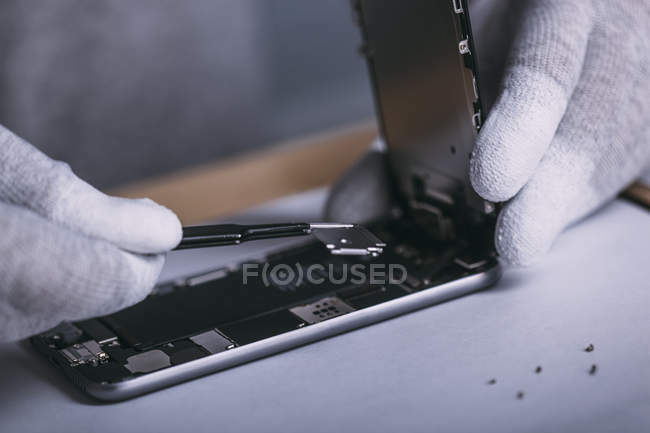 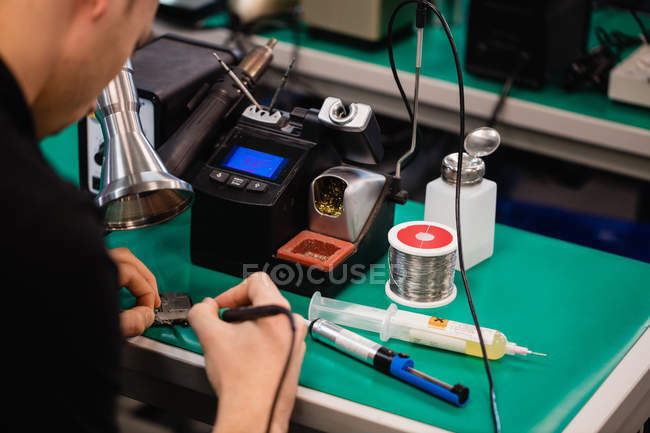 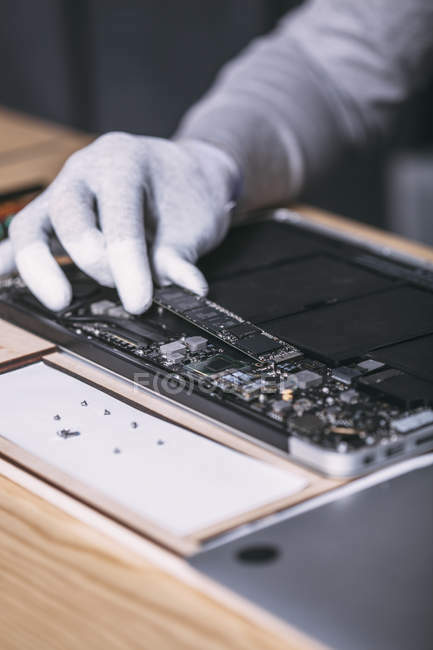 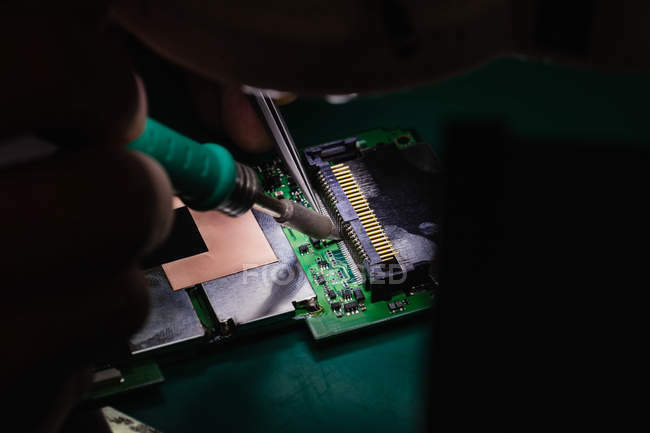 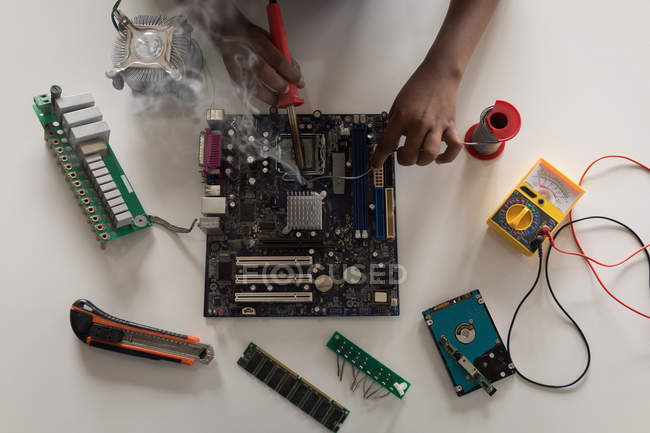 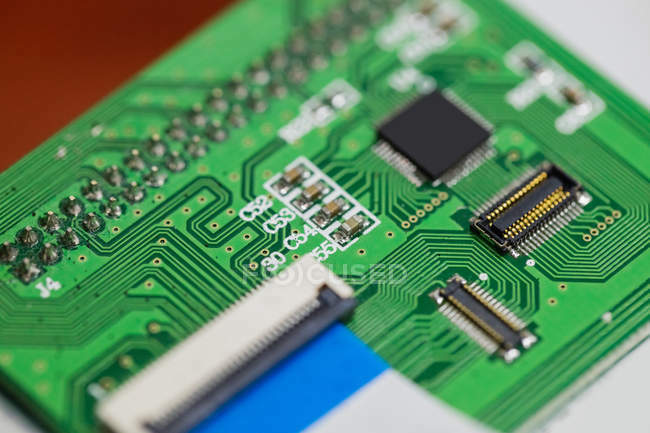 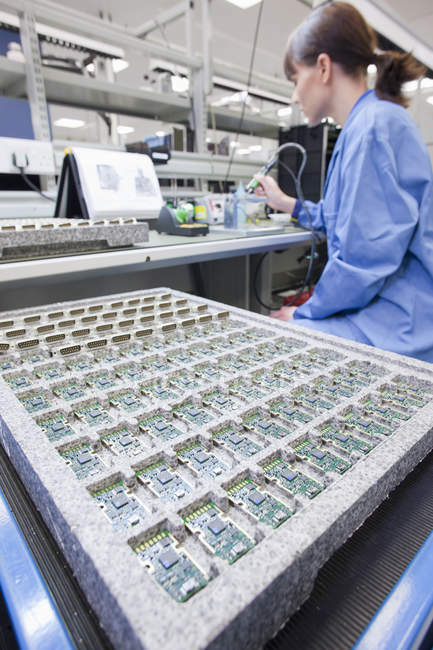 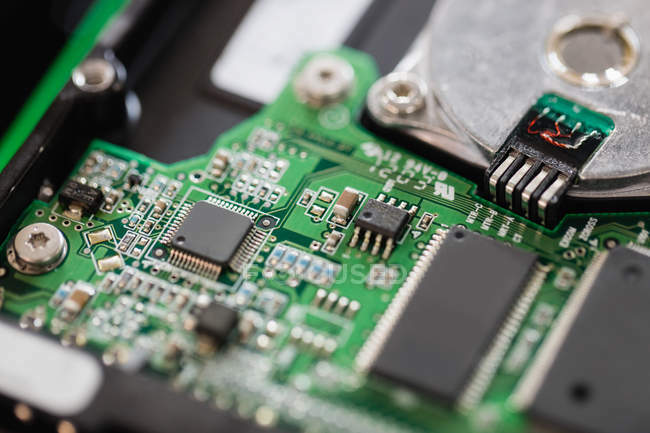 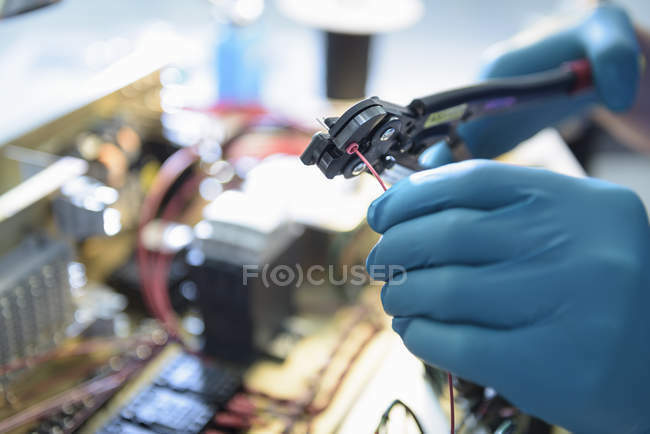 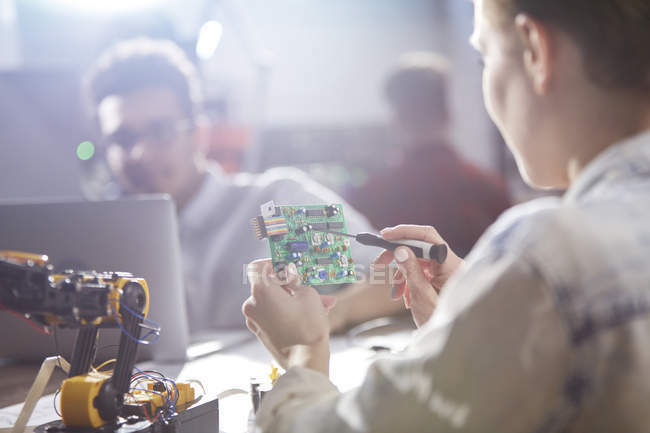 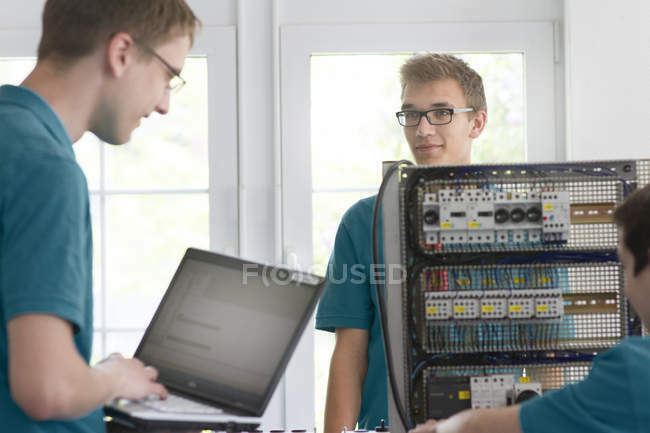 Close-up of technician repairing circuit board in electronics laboratory. 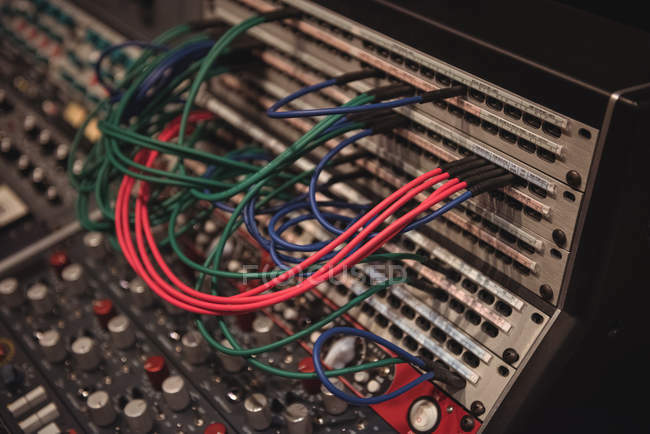 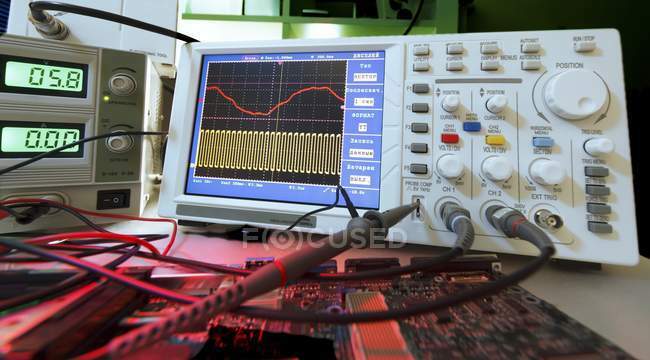 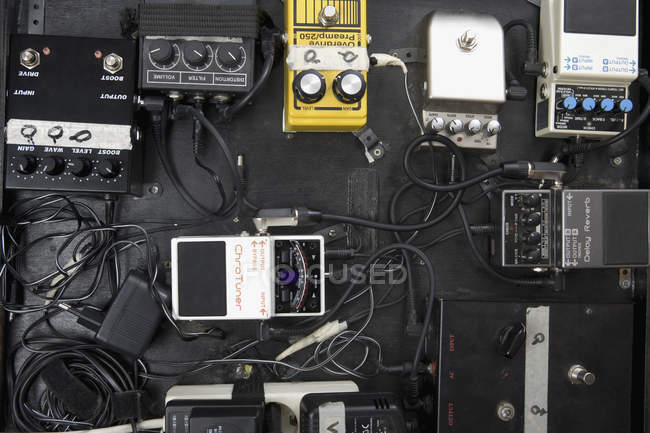 Close-up of oscilloscope screen and wires. 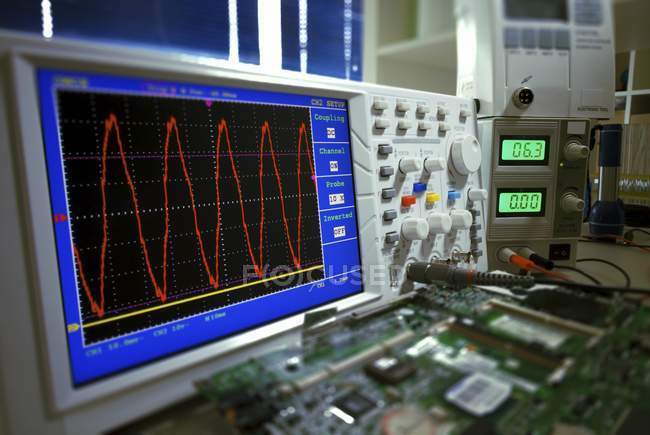 Close-up of oscilloscope screen showing voltage signals. 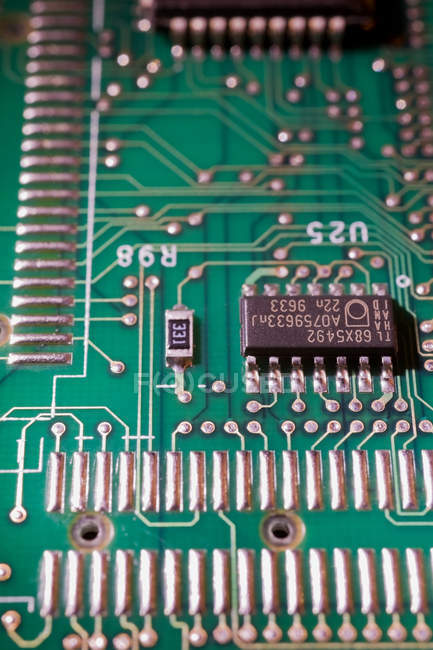 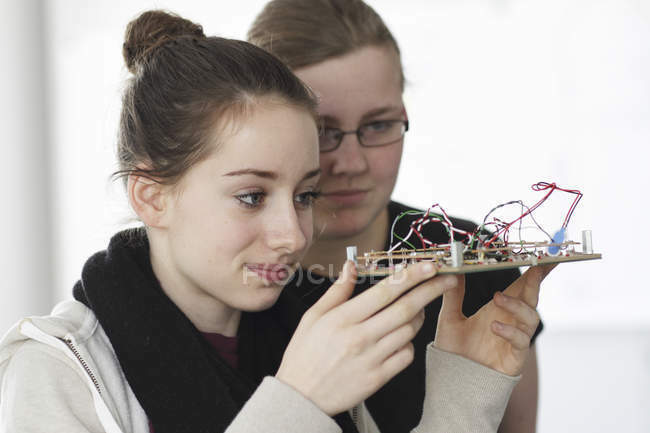 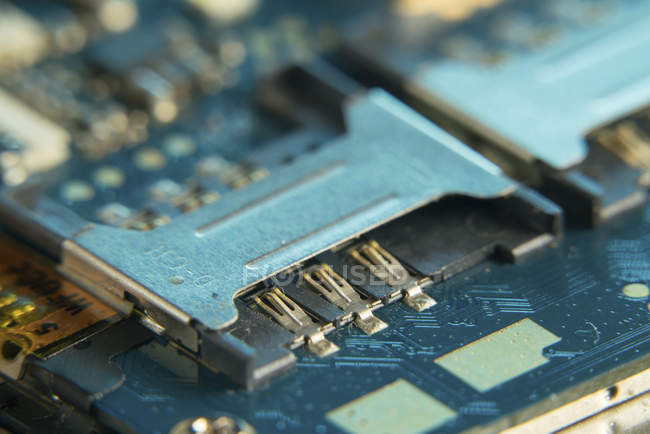 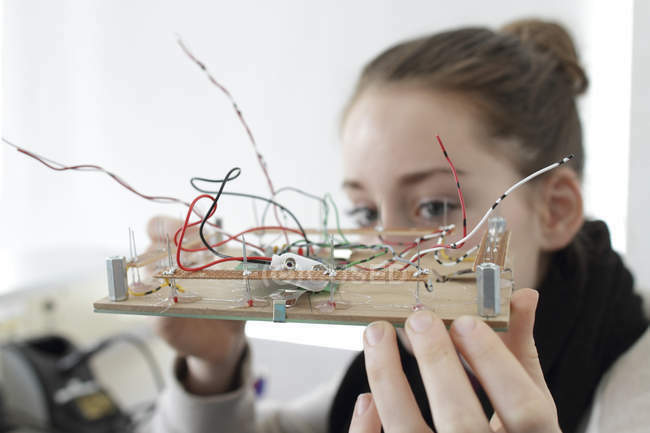 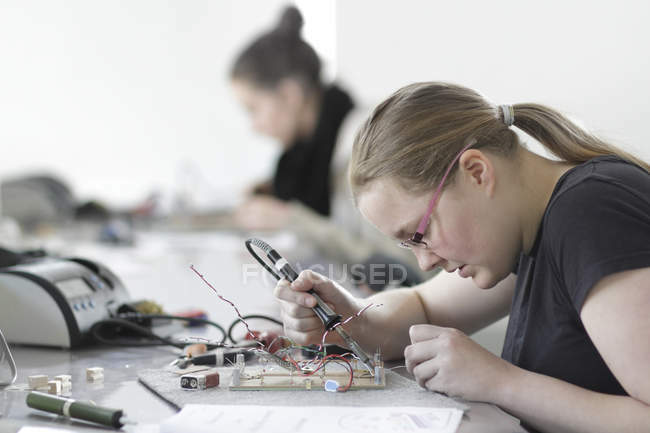 Close-up of girl hands soldering circuit board at desk. 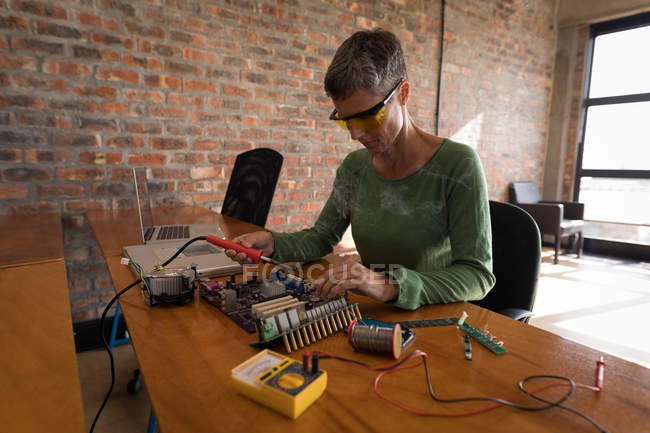 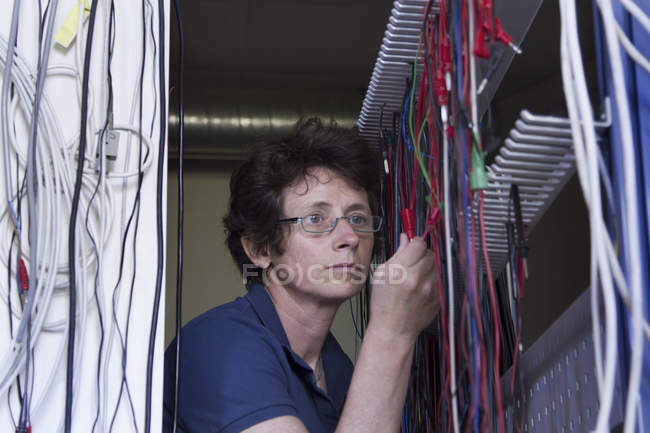 Female electrical engineer soldering circuit board in office. 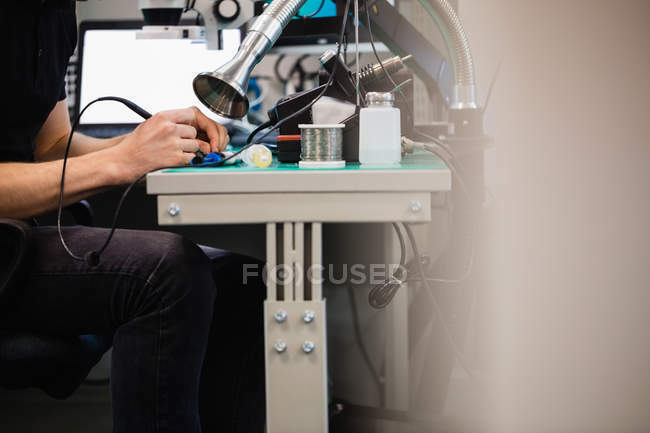 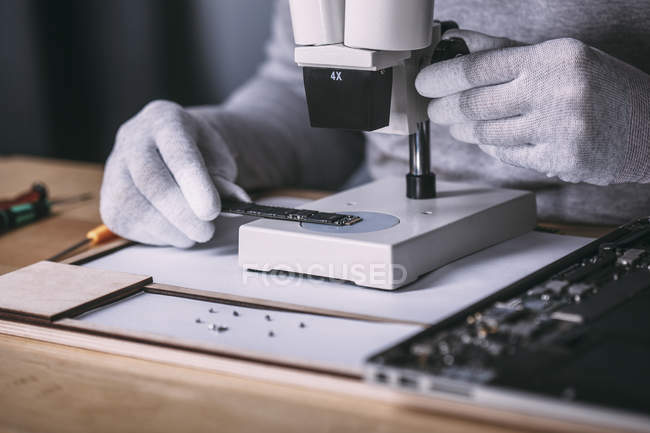 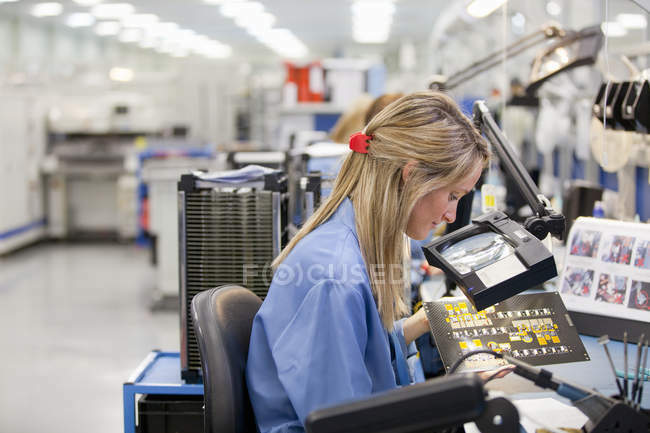 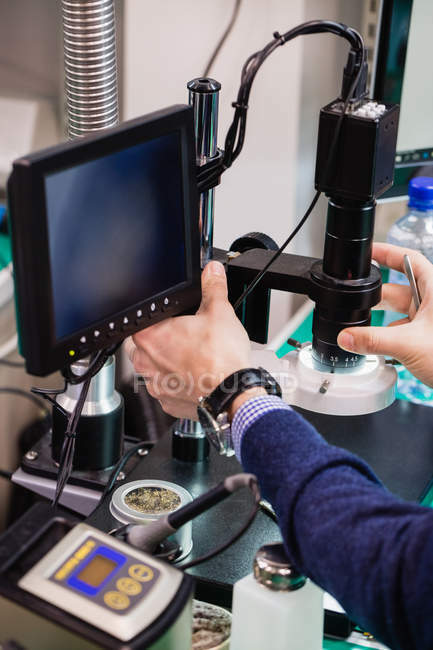 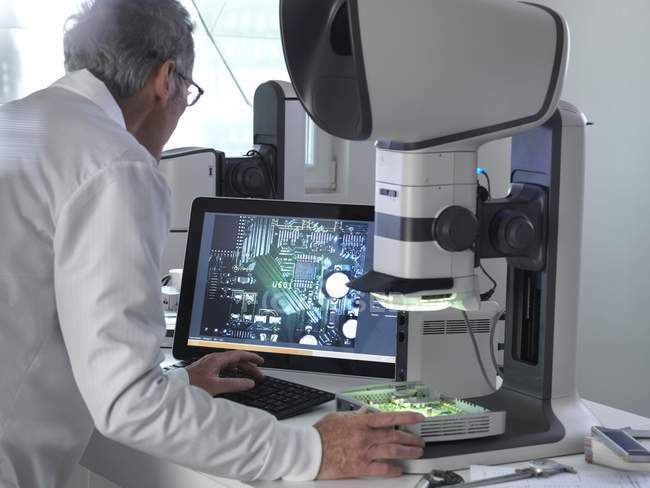 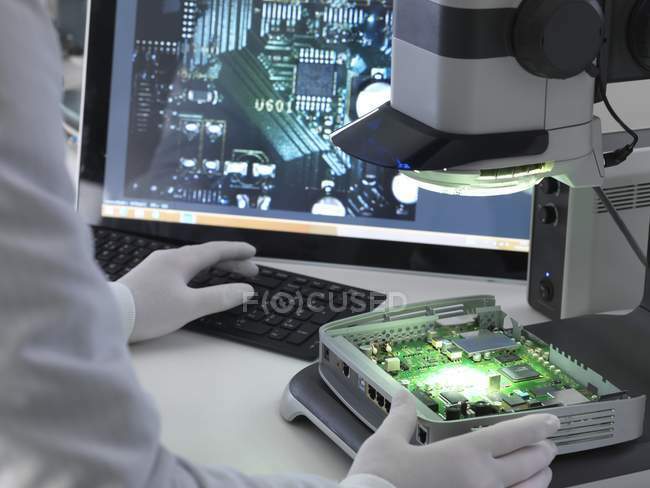 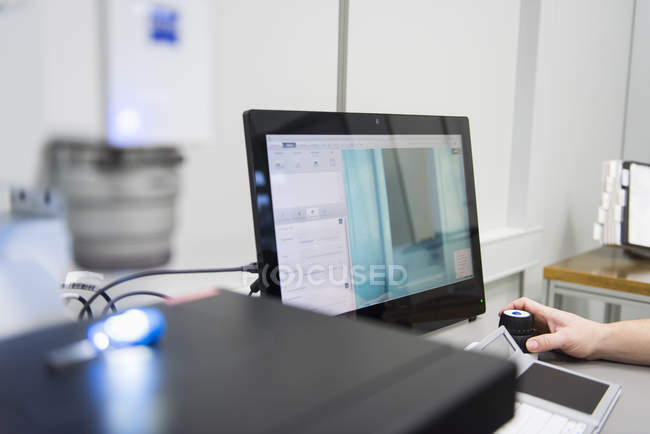 Engineer using stereo microscope for inspecting printed circuit board during quality control process. 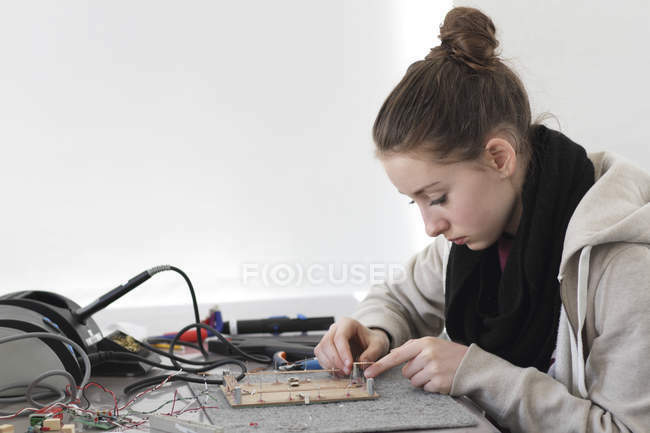 Pre-adolescent blogger girl soldering circuit board of electric toy car in office. 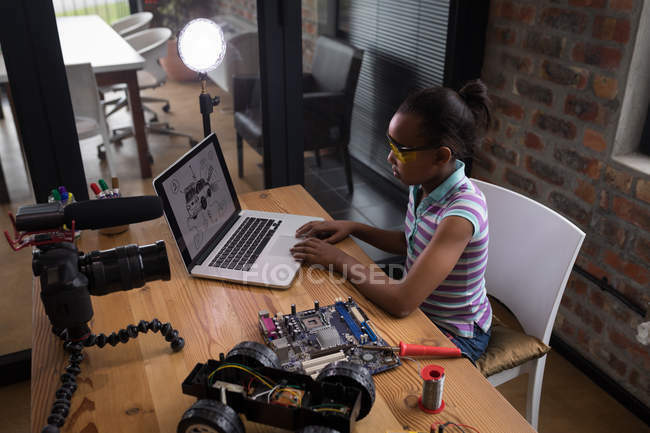 Pre-adolescent blogger girl using laptop while soldering circuit board of electric toy car in office.